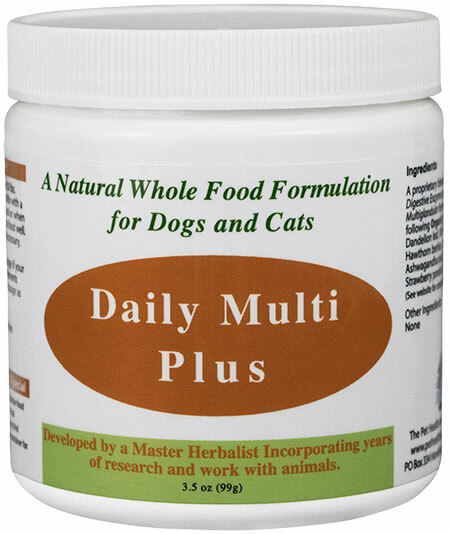 Daily multivitamin for dogs is made from WHOLE ORGANIC herbs. Meets all your dog’s daily requirements for vitamin needs. Calcium can be added separately for homecooking or raw feeding. Includes probiotics, enzymes and organ glandulars for digestion, resistance and organ health. Increases energy and endurance and improves your old friend’s quality of life. 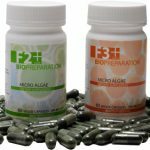 Enzymes and Probiotics: There are 13 particular enzymes, 13 species of probiotics containing 5 billion cfu per gram including whole food probiotics formulated to help your pet properly digest his food. Most similar products lack the necessary amount needed to actually make a difference in your pet’s digestion. When feeding this Daily Multivitamin Supplement to your dogs, there is NO NEED TO INCLUDE ADDITIONAL PROBIOTICS AND DIGESTIVE ENZYMES. Includes the recommended dosage already. New Zealand Glandulars: This is probably what I like most about Daily Multi Plus. In the wild, when an animal catches his prey, the glands and organs are the first body parts sought after due to the vital tissue, enzymes and nutrients contained inside. Glandulars are a very effective way to support many health related conditions with the liver, kidneys, thyroid, adrenal, spleen, etc. Bottom line; the gland the dog or cat consumes helps with the health of his own particular gland. This dogs multivitamin supplement formula contains 15 glandulars supporting those same fifteen glands including liver, kidney, brain, pancreas, thymus, spleen, adrenal and thyroid. The freeze dried glandulars all come from New Zealand grass fed animals. Organic Whole Foods: Another reason I love this formula so much is because it’s made with real, whole food. No synthetic, lab created substitutes for real vitamins and minerals; just the real deal. Cheap substitutes are often found in pet food products. You have to remember that real, honest to goodness whole products cost a little more, but deliver a lot more. What Are Organic Whole Foods or Supplements for Dogs? In simple words, a whole food is one that is hardly processed or refined and is devoid of any additives and artificial ingredients. Organic whole foods or supplements for dogs are those that do not contain any additives at all. 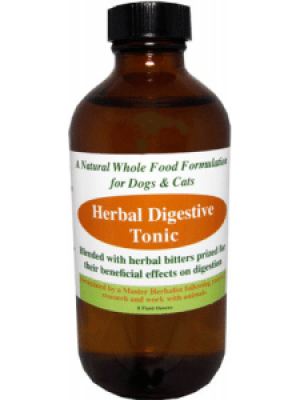 This natural multivitamin supplement for dogs and cats is completely free from any harmful chemicals or substances that are generally present in many supplements available in the market. Ginkgo Biloba is an extremely beneficial tree, which was first found in China and that has numerous medicinal benefits. Ginkgo extracts is best supplement and work amazingly well on both humans and dogs. They have anti-oxidant properties, improve heart and brain functioning, increase blood circulation, fight inflammation, support vision, fight anxiety and depression, and do much more. Our organic multivitamin powder for dogs contains Ginkgo leaves. Ginkgo Biloba to help with brain function and blood vessels. Hawthorn Berries to support your older dog’s heart and entire cardiovascular system. Astragalus Root to reinforce your dog’s immune system to fight off illness and deal with stress. Barley Grass Juice Powder as a good source of chlorophyll and a superior antioxidant enzyme to help build the blood. Ingredients: Digestive Plant Enzyme Blend, Probiotic Blend, Prebiotic Blend, Psyllium Seed Husk, Multiglandular Proprietary Blend (liver, brain, stomach, heart, kidney, pancreas, spleen, duodenum, thyroid, adrenal, thymus, parotid, pineal, pituitary, hypothalamus), Multi Nutrient All Organic Proprietary Blend (Ginkgo Leaf, Hawthorn Berries, Oatstraw, Astragalus Root, Nettle Leaf, Dandelion Leaf, Alfalfa Leaf, Burdock Root, Chia Seed. 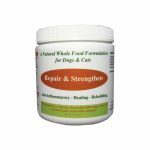 Dog multivitamin powder formula provides optimal support to your dog’s digestive system, joints, muscle tone, tendons and ligaments, mental health, cardiovascular system, immune system and all the organs and glands. Dogs: Dividing equally between meals, give 1 tsp for every 30 pounds. Mix with a small amount of water and add to meal. Mix well into food. *Note: If your pet isn’t used to vitamins, etc., you might want to start slow at ¼ of the recommended dosage and work up over several days. HOW LONG WILL MY PURCHASE LAST FOR MY DOG? Shelf Life: 2 years stored in the refrigerator.